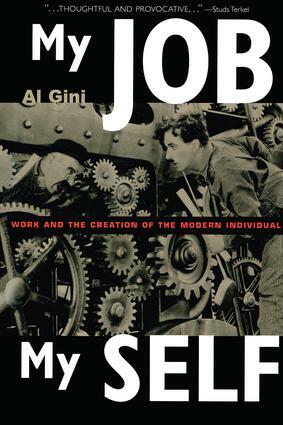 In My Job My Self, Gini plumbs a wide range of statistics, interviews with workers, surveys from employers and employees, and his own experiences and memories, to explore why we work, how our work affects us, and what we will become as a nation of workers. My Job, My Self speaks to every employed person who has yet to understand the costs and challenges of a lifetime of labor. Al Gini is a member of the Department of Philosophy and the Institute of Human Resources and Industrial Relations at Loyola University Chicago. He is co-founder and Associate Editor of the journal Business Ethics Quarterly, Senior Consultant for the Ethical Leadership Group, and a regular commentator on Chicago's NPR affiliate, WBEZ.